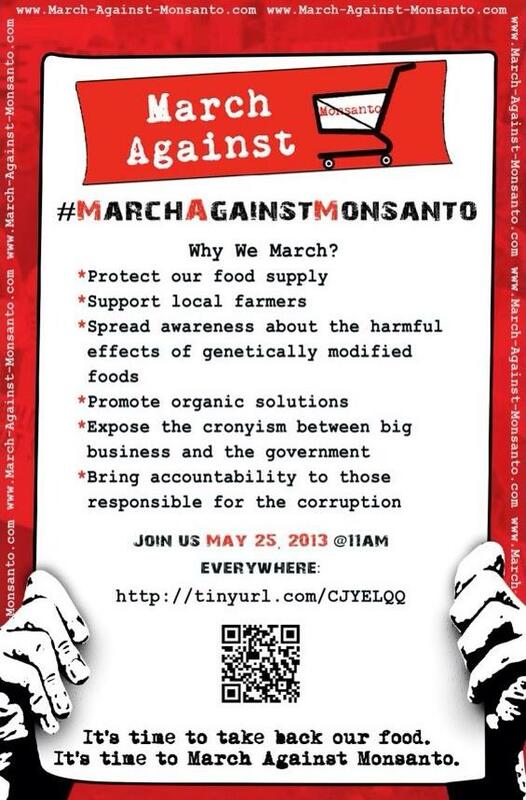 Occupy Monsanto supports the March Against Monsanto! 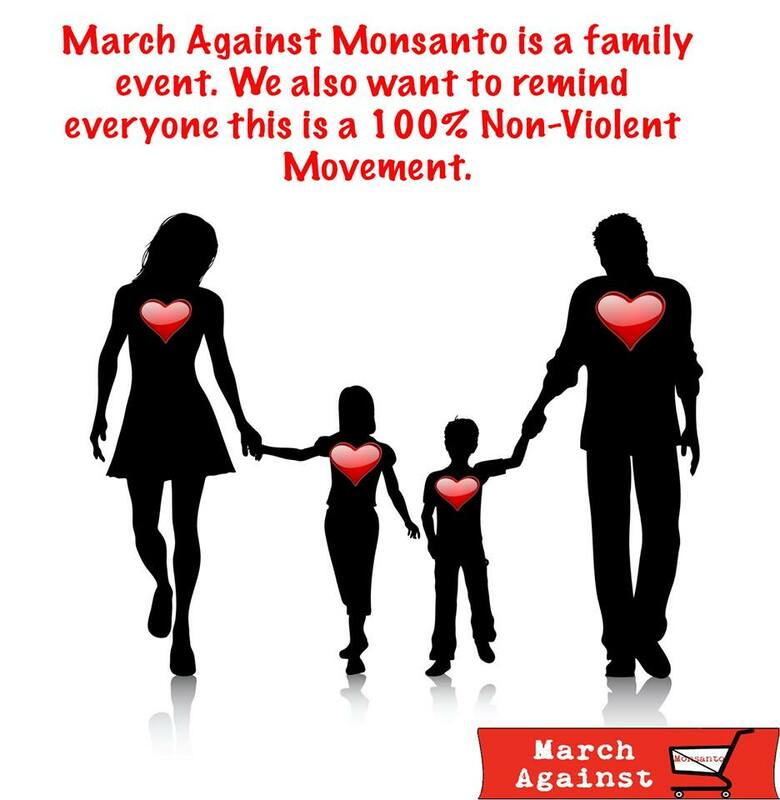 Below is the News Advisory for the Washington, DC March Against Monsanto. 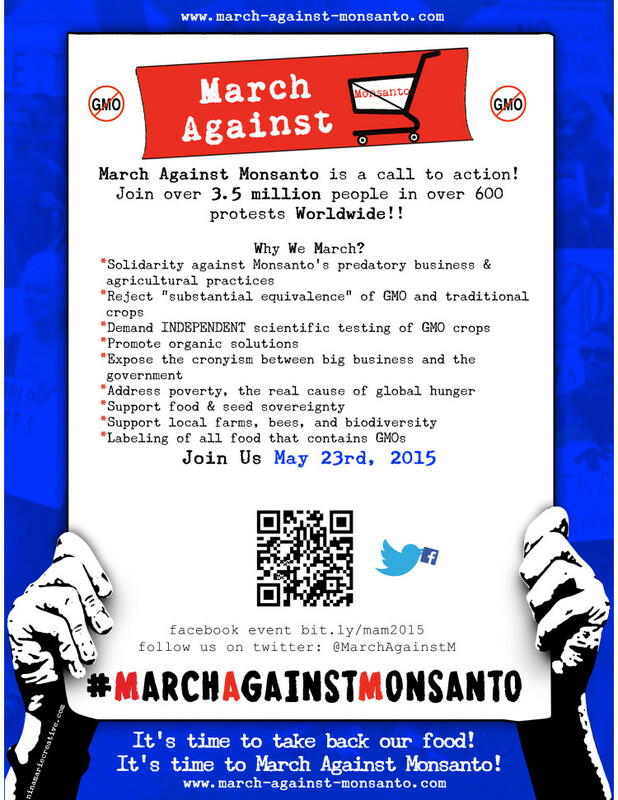 Click here to the read the Global March Against Monsanto News Advisory. 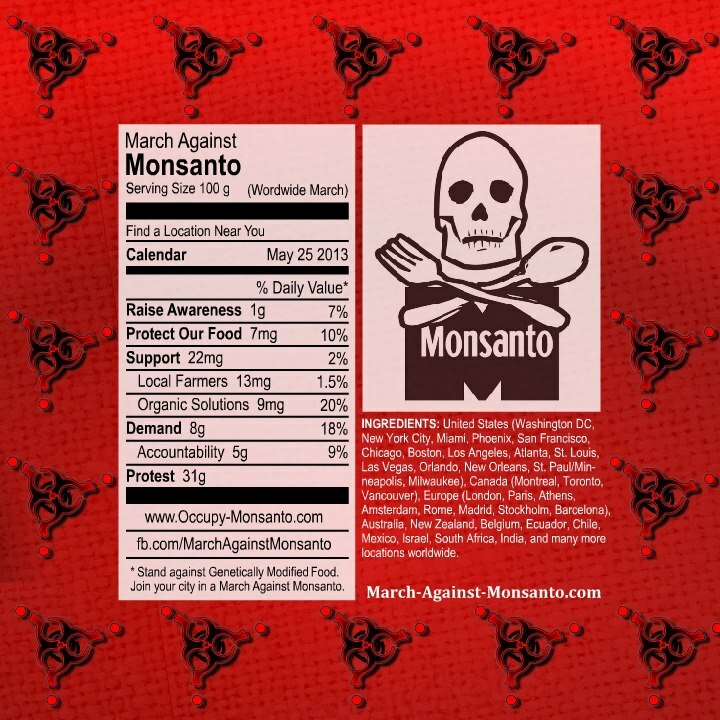 WASHINGTON, DC – On May 23, 2015, for the third year in a row, hundreds of thousands of concerned individuals will gather across 38 countries and 428 cities to join in peaceful protest against the Monsanto Company as a part of the March Against Monsanto grassroots campaign. This movement seeks to raise awareness to the dangers surrounding Monsanto’s genetically modified seeds and cancer-linked herbicide Roundup. The campaign comes as the demand for GMO labeling and non-GMO food alternatives continues its exponential climb, with states like Vermont enacting mandatory GM labeling legislation that will require food corporations to let consumers know if their products contain GM ingredients. In polls conducted by the New York Times, Washington Post, Consumer Reports, and many others, over 90% of respondents were in support of national GMO labeling – an initiative that has been defeated time and time again at the state level thanks to heavy spending by Monsanto-backed lobbying groups. Highlighting the concern over Monsanto’s products is the latest report from the World Health Organization’s International Agency for Research on Cancer, which listed the primary chemical in Monsanto’s best-selling herbicide Roundup, glyphosate, as “probably carcinogenic to humans.” This finding has drawn many researchers and health experts to stand behind the goals of March Against Monsanto. WHO: Concerned consumers, students, and gardeners, members of DC March Against Monsanto, GMO Free DC, Occupy Monsanto, and the Organic Consumers Association. WHERE: Lafayette Park, north of the White House to Monsanto’s Washington, DC offices. “We are marching because we’re tired of being ignored by the White House, FDA, and the USDA,“ says Gene Etic, an organizer with Occupy Monsanto. The White House has failed to respond to multiple GMO labeling petitions and has gone so far as appointing former Monsanto employees to positions of power in the FDA. Officially, the FDA does not believe there is any material difference between patented GMO plants and their non-GMO counterparts, but marchers believe that patented plants deserve a label in order to fully inform consumers of the novel technology. “We already label foods that are irradiated, a process that everyone agrees is safe, so if GMO ingredients are also safe, why not label them as well?” asks Natalie Freeds, an organizer with DC March Against Monsanto. “I want this basic information so I can choose which foods to feed my children.” In fact, over 64 countries around the world either ban GE foods or require them to be properly labeled, including Russia, China, and the European Union. Marchers will also be taking a stand against the Trans-Pacific Partnership, a free-trade agreement that will prevent GMO labeling in America and force Monsanto’s patented products on to countries that wish to be GMO-free. There are two GMO labeling federal bills currently in Congress called the “Genetically Engineered Food Right-to-Know Act,” which would require the mandatory labeling of GMOs sold in America. The House version, H.R. 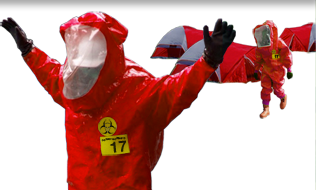 913, is sponsored by Rep. Defazio (D-OR), and the Senate version, S.511, is sponsored by Senator Barbara Boxer (D-CA). Aside from marching against Monsanto and the TPP, organizers are marching against Rep. Pompeo’s H.R. 1599, colloquially known as the D.A.R.K. Act (Denying Americans’ Right to Know). This legislation promoted by Monsanto and other industrial agricultural proponents would pre-empt state labeling laws and would undo the GMO labeling laws that have been passed in Connecticut, Maine and Vermont. The deafening silence on GMO labeling reaches to President Obama’s White House as well. Activists have chosen to gather outside the White House because in 2011, 2012, 2013, 2014 and 2015 President Obama’s White House failed to respond to three “We The People” online petitions on the White House website that have reached the required signature threshold for a response. The listing below was updated on May 22, 2015 with only Marches that have Facebook Event links. Please click here for the most up-to-date listing! The listing above was updated on May 22, 2015 with only Marches that have Facebook Event links. Please click here for the most up-to-date listing! On Saturday, May 24, 2014, March Against Monsanto in your community! Below is a spreadsheet export made on May 21, 2014 that lists all of the upcoming marches with Facebook Event invites. 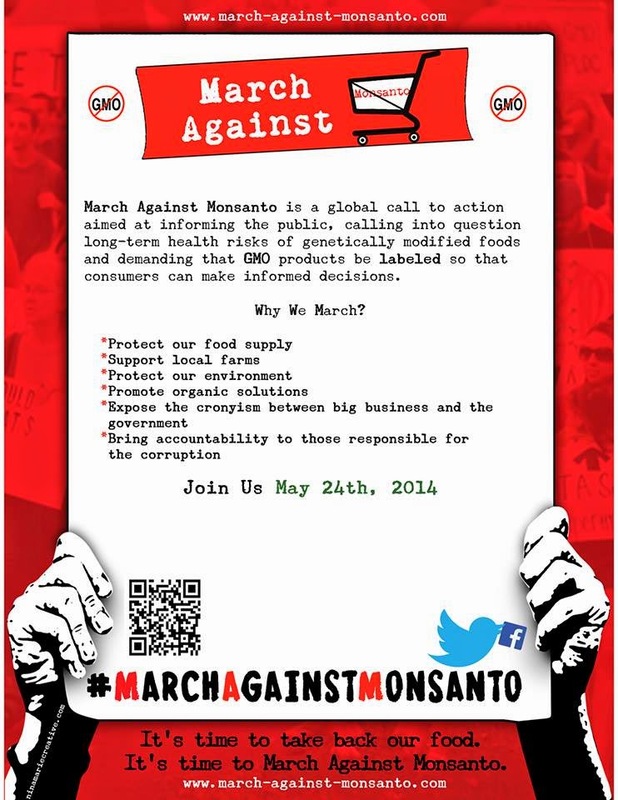 For the latest spreadsheet of planned marches, check out the official listing on the March Against Monsanto website. 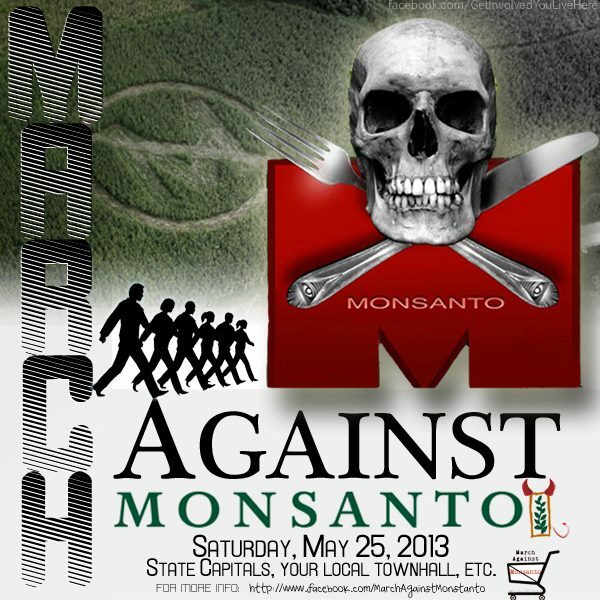 Occupy Monsanto proudly supports the March Against Monsanto. 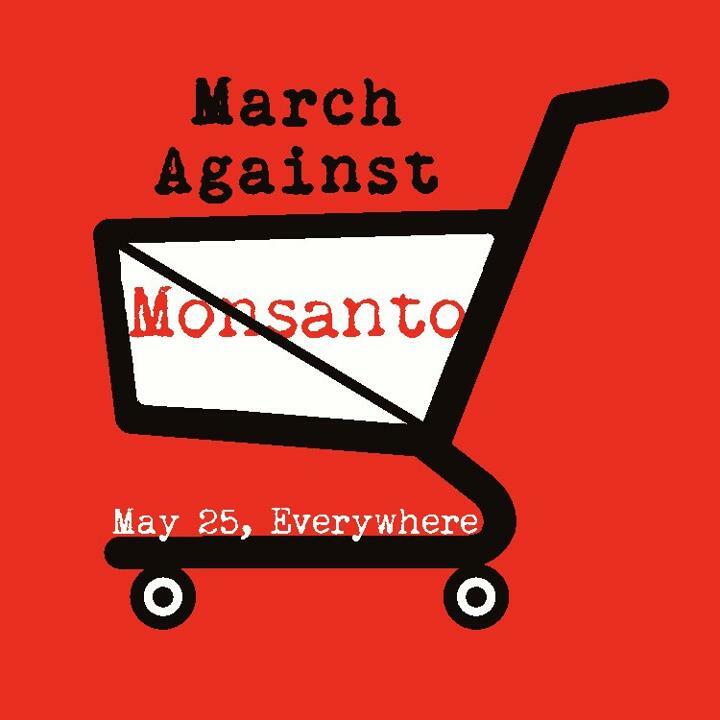 On May 25, activists around the world will unite to March Against Monsanto. Research studies have shown that Monsanto’s genetically-modified foods can lead to serious health conditions such as the development of cancer tumors, infertility and birth defects. In the United States, the FDA, the agency tasked with ensuring food safety for the population, is steered by ex-Monsanto executives, and we feel that’s a questionable conflict of interests and explains the lack of government-lead research on the long-term effects of GMO products. Recently, the U.S. Congress and president collectively passed the nicknamed “Monsanto Protection Act” that, among other things, bans courts from halting the sale of Monsanto’s genetically-modified seeds. For too long, Monsanto has been the benefactor of corporate subsidies and political favoritism. Organic and small farmers suffer losses while Monsanto continues to forge its monopoly over the world’s food supply, including exclusive patenting rights over seeds and genetic makeup. Monsanto’s GMO seeds are harmful to the environment; for example, scientists have indicated they have caused colony collapse among the world’s bee population. What are solutions we advocate? Voting with your dollar by buying organic and boycotting Monsanto-owned companies that use GMOs in their products. Labeling of GMOs so that consumers can make those informed decisions easier. Calling for further scientific research on the health effects of GMOs. Holding Monsanto executives and Monsanto-supporting politicians accountable through direct communication, grassroots journalism, social media, etc. Continuing to inform the public about Monsanto’s secrets. 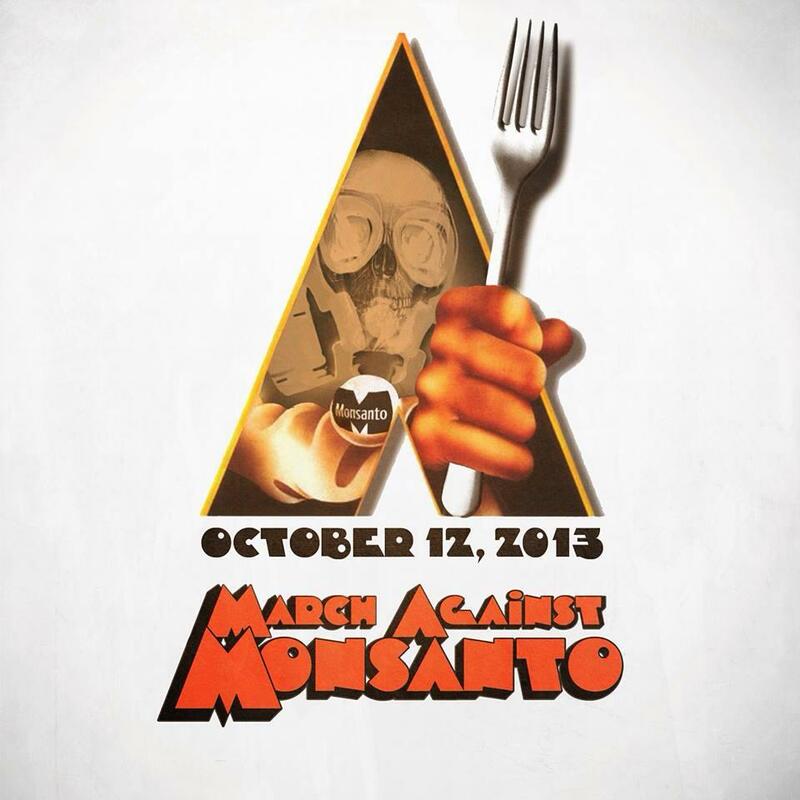 Taking to the streets to show the world and Monsanto that we won’t take these injustices quietly. We will not stand for cronyism. We will not stand for poison. That’s why we March Against Monsanto. If not, please read these guidelines for a general idea of what goes into planning a demonstration. If you feel you can take it on, send a message to the page letting us know which city you’re in and that you’ve read this guide. We’ll then create an event for you and add you as a host. Step 1: Decide whether to do a march or a single rally. If you can get at least 20 people, a march has the potential to reach a lot more people than a rally. Step 2: Pick a good location. For a rally, a state capitol building or city hall is a good spot. If there are any GMO-related headquarters or corporations in your city, that’s another good spot. If you’re doing a march, pick two well-known locations to start and end your march. You can do mini-rallies at each location. Keep in mind walking distance; around a mile is a good distance. Step 3: Research which permits may be necessary to make your event legal. You can research this on the Internet by looking on city government websites or calling their offices. Requirements are usually different depending on whether you’re doing a march or a rally and where it will be held. Step 4: Reach out to potential speakers if you plan to have a rally or mini-rallies along with a march; this is a great way to increase the turnout and get media coverage. Try reaching out to organizations in your city that oppose GMOs and/or Monsanto like farmers and organizations that promote organic foods. If there are politicians in your city/state who advocate GMO labeling, that’s another good idea as well. Note: If you’re having speakers, you may need to get additional permits for a PA system and/or a bullhorn. Step 5: Once you have all of the details worked out for your rally, it’s time to promote it! This is done by use of flyers, including large ones to post to telephone poles and small ones to handout. Also send a press release to your local media alerting them to the event. If you’re doing a march, be sure to create a banner to carry so people know why you’re marching. Also, make signs and have attendees bring their own as well. We would like to remind everyone that MAM does not support violence or aggression towards property or people. Violence will only set us back. Please be clear this movement is non-violent. We want the world to hear us. We must behave like adults not stoop to the level of violence. Our Marches are family events. We will have children, elderly, and disabled people present. Violence of any kind will not be acceptable. Please be warned that often times Monsanto themselves will send in their own plants to try and incite or instigate aggression. Do not be fooled. They are trying to destroy our unity. With that said, Please do not bring violence or abusive comments to our March or to our Event pages. Your comments will be deleted and if it continues you will be banned. We encourage all organizers of the individual events to share this message. Please be warned if you are an instigator you will not be tolerated at our march and we our organizers will ask you to stop or leave. If you continue we ourselves will politely and calmly ask a Police officer to remove you. We encourage all organizers to be open and talk with your local police and make clear to them that these events are family events and we will cooperate and work with them to remove anyone who incites aggression. Please understand, we are not trying to be authoritarian but that we have a responsibility to create a peaceful event for our children, parents, grandparents and all attending. Remember the world will be watching and we have an example to set. Violence would be seized upon by the media and Monsanto. They would use this as propaganda to discredit the movement and label us as eco-terrorists. This is not a joke we are standing up against one of the most powerful corporations that ever existed. This is why we reiterate no violence of any kind will be tolerated. We know most of you know this but for the few who did not you do now. For the instigators you are not welcome and we stand firm united in NON-Violence. While we will be speaking up against the politicians and the corporations we will not condone any comments or threats of aggression towards them. We will expose their crimes and demand justice and change of policy. We do not by any means condone any type of vigilantism. 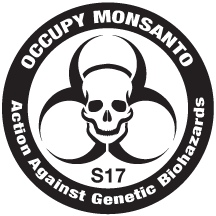 Our mission is to raise awareness, expose, and legally stop Monsanto, and their cronies, crimes against humanity. We would like to see GMOs Labeled and/or banned until they can without a doubt be proven safe. So far we have seen the opposite. GMOs are not safe. Monsanto is an unethical unmoral corporation and they have been committing crimes against humanity for decades. This event is a platform to bring us together in Unity. From here we can work together to create a powerful base of grass roots activism . We encourage all to network together and continue to work towards supporting ballot initiatives that are in place to label GMOs or Ban them, and create initiatives that have not yet been created. Continue working together to expose politicians that serve Monsanto and promote politicians that stand with the people. We encourage all to create mailing lists and or FB groups where you can continue working together after the march and until we have reached our goals. You may want to bring an ipad and have everyone who is interest type in their emails so you have a ready digital email list to bring people together for future efforts. This event has created powerful momentum and its in our best interest to brainstorm Ideas on how we can keep the ball rolling.